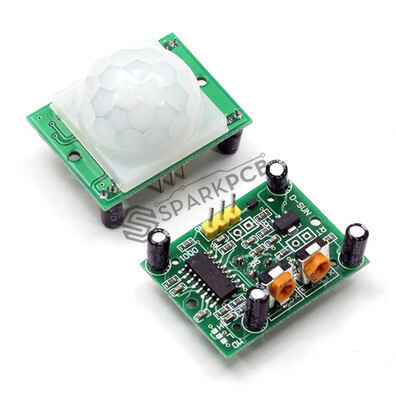 The Passive Infrared Sensor (PIR) sensor module is used for motion detection. It can be used as motion detector for security systems or robotics. It works form 3.3V to 5V DC and gives TTL output which can be directly given to microcontroller or to relay through a transistor.It consists of pyroelectric sensor and fresnel lens that detects motion by measuring change in the infrared levels emitted by the objects. It can detect motion up to 20ft. This module is very sensitive to change in infrared levels subjected by human movement. The Fresnel lens has a lot of scratch marks on it. Keeps giving high output, with low output occurring only once in about 4 sec in an empty closed room at room temperature. No jumper pin to shift between H & L.